Made up of the Soleus muscle and the Gastrocnemius, the calf muscle can experience chronic and severe pain due to many possible causes and factors. It is very important to keep this body part healthy because people use it in performing different kinds of tasks, ranging from the most basic things like standing, walking and bending even up to the most complex tasks such as competing in sports and other strenuous physical activities. To help manage calf pain, people must learn more about its symptoms, treatments as well as possible causes. For patients suffering from strain calf, the symptoms are varied. For grade-1 level strain, there is a sharp and stabbing pain at the rear part of the lower leg. Because this is just a mild case, patients can still play but there is aching and tightness in the affected areas. For grade-2 strain, the signs include shooting pain and tingling sensation while walking, moderate bruising and swelling at the lower, upper, right and left parts of the calf. At times, patients can also feel a dull feeling in the affected areas. Many different things can cause pain in the calf area. The most common factors that can lead to this type of pain are tight calf muscles, posterior compartment syndrome and cramps. In addition, other lower leg injuries can inflict significant amounts of pain such as calf strain and many other possible causes. Aside from these common causes, other factors can lead to pain in the calf area. For instance, circulation disorders such as varicose veins, deep venous thrombosis and arterial insufficiency can cause calf pain. The same thing goes for cellulitis, thrombophlebitis as well as intermittent claudication. 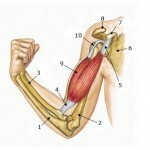 Other potential causes of pain clued muscle tension, compartment syndrome and calf muscle injury. When diagnosing pain in the calf area, one of the important things to check is the medical history of patients. This is crucial especially in identifying the possible causes as well as symptoms. After that, they need to undergo extensive physical examinations to determine the severity of the condition. Of course, x-rays and other advanced imaging studies are highly important. Ultrasonography, arthrography and magnetic resonance imaging can help a lot in identifying the different causes, signs and treatments for this kind of medical problem. The pain caused by the different calf injuries and conditions is very hard to bear. For the treatment of pain, non-steroidal anti-inflammatory drugs can also work wonders. These include ibuprofen and naproxen, which are two of the most trusted pain relievers ever invented. 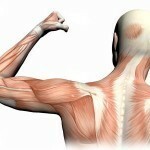 Sports massage techniques and rehabilitation can further help in treating this kind of medical condition.